Partly cloudy with a slight chance of thunderstorms. High 74F. Winds WNW at 5 to 10 mph. Chance of rain 30%..
Showers and thundershowers this evening, then cloudy with rain likely overnight. Low near 45F. Winds light and variable. Chance of rain 100%. 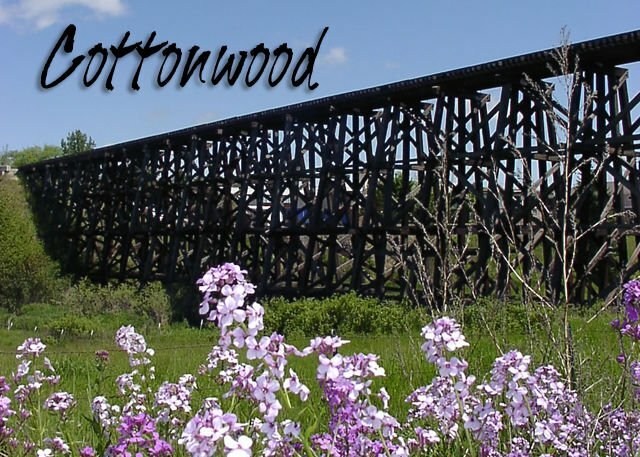 COTTONWOOD  Sunday, Feb 25. will be the Holy Cross/St. Mary’s Dinner and raffle to be held at Keuterville Hall. Join us for Bingo all day and a great meal served from 11 a.m. to 4 p.m. See you there! American Freedom Defense will be offering one-day courses for firearm training soon. Classes will be held in Riggins and Greencreek on March 3 and 10, and April 15. To register for these classes or for more information go to amfreedomdefense.org. Jim Gorges is the person in charge and you can contact him at amdefense@gmail.com or 208-935-5734. Greencreek Altar Society yard sale is scheduled for March 17. Mark your calendar for this early spring yard sale which always has a lot to offer. Any questions, contact Connie Killmar at 208-983-0732. Stations of the Cross will be prayed during Lent on Wednesdays, 8:30 a.m., at St Anthony’s; Fridays, 8:30 a.m., at Assumption; and Fridays, 6 p.m., at St Mary’s followed by a soup supper. St. Gertrude’s Museum is putting out another edition of the 150-year stories. You are invited to include your story in this third volume. You may include any family history for this area, which includes current history of our young families. You may email your family history/story to Shirley Gehring tech@stgertrudes.org or mail a flash drive to her with the story on it: St. Gertrude’s Museum, 465 Keuterville Rd., Cottonwood, ID 83522 or call 208-962-2053. The length of the story should be reasonable, not too lengthy, and include a couple of pictures. Congratulation to Rene’ Forsmann who was recognized as the Administrator of Year at the IETA conference last week. It was a well-deserved award for an outstanding district leader! The winners at the Cottonwood District spelling bee were Monica Goeckner, district champion, and Reed Chapman, runner-up. Monica moves to the next level of competition which will be at LCSC on March 10. Good luck, Monica! March 9 is the date set for the annual Lincoln Day Dinner which will be held at Greencreek Community Hall. The event starts with a 5 p.m., social hour and silent auction, dinner at 6 p.m., and a forum for the five candidates for lieutenant governor at 7 p.m. Candidates for state and local offices will also be introduced. This is a good chance to see where the candidates stand on important issues in our county. You may get tickets ($25 each) or donate items for the silent auction by contacting any committee member or Donna Wassmuth at dawnstar1018@gmail.com or 208-962-3561.